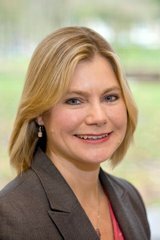 Following pressure from Justine Greening MP and Richmond and North Kingston MP, Zac Goldsmith, Thames Water has agreed to extend the consultation period on the Thames Tunnel project into the New Year. Thames Water confirmed to Justine that the consultation period will now run until 5pm on Friday 14th January giving residents vital time to consider the proposals over the holiday period. Thames Water has also confirmed that their Customer Centre will be open throughout the Christmas period to answer residents’ concerns. In addition to this, Justine has organised a public meeting with Thames Water for residents to raise their concerns about the development of the Thames Tunnel and how it will impact on the local community. ‘This is a big issue locally so I am really pleased that Thames Water has taken on board the concerns myself and Zac raised on behalf of residents and as a result extended the consultation period on the Thames Tunnel into the New Year. This will give many residents much needed time to sit down and carefully consider the Thames Tunnel proposal. I also think it is really encouraging that Thames Water is engaging with us as it is very important that residents have their say and that these points are taken on board.